During the event period, collect 「Halloween Coin 2018」 that can be obtained from 「Halloween Gift Box」 and exchange the coins for various items such as Energy Converter, Event Titles, and Halloween Room items. It’s Halloween again this year! 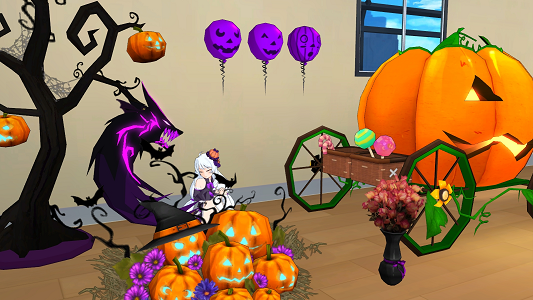 Let’s use the 「Halloween Event Furniture Box」 and 「Pumpkin Hat Box」 that can be exchanged in this event well and make the most of Halloween that comes once a year. □ Collect 「Halloween Coin 2018」! By using 「Halloween Gift Box 2018」 and 「Halloween High-grade Gift Box 2018」, you can obtain 「Halloween Coin 2018」 by chance. □ Obtain 「Halloween Gift Box 2018」! 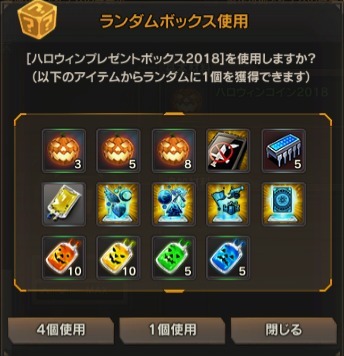 There are 2 kinds of Halloween Gift Boxes where you can obtain 「Halloween Coin 2018」 namely, 「Halloween Gift Box 2018」 and 「Halloween High-grade Gift Box 2018」, with the method of obtaining each gift box being different. ※ The number of 「Halloween Gift Box 2018」 dropped varies depending on the maze, and can only obtain up to 10 pcs. per day. ※ You can only obtain up to 「Halloween High-grade Gift Box 2018」 x 3 per day. ※ If you already reached the daily limit, the item will still drop but, you will no longer obtain more than the prescribed limit (the items will not be reflected in your inventory). 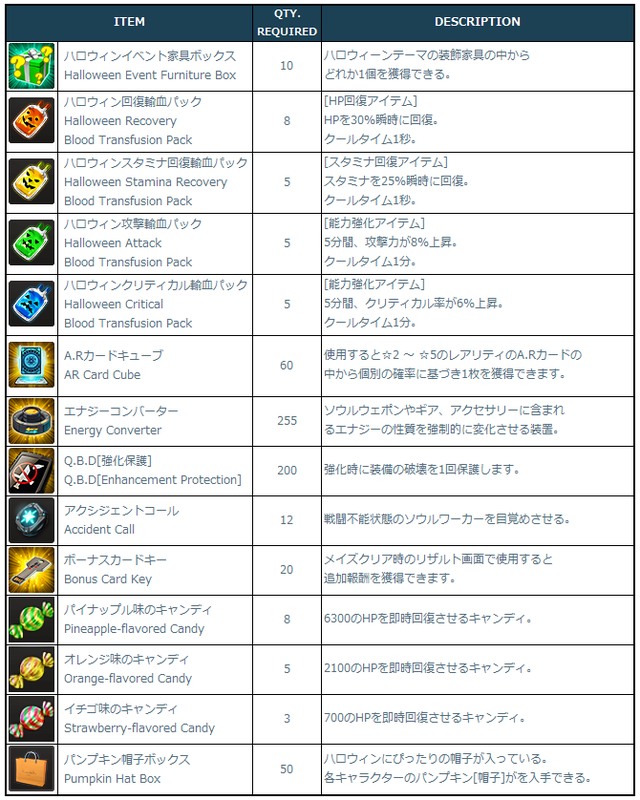 You will be able to obtain the items again the next day at 09:00 JST onwards. During the event period, various items can be crafted at the S Coin Shop of each city. 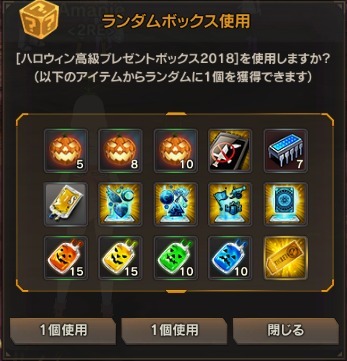 Let’s craft useful items after collecting a lot of 「Halloween Coin 2018」. The title 「Soul Festival (魂の祭り)」 can be crafted using a total of 80 「Halloween Coin 2018」 in the S Coin Shop’s Crafting 「Event」 Tab. You can obtain the event item 「Halloween Coin 2018」 every day by clearing the 「Event Missions」 you can take during the event period. The Daily Missions are updated at 11:00 JST every day. ※ The Daily Missions can be played until the November 08 (Thursday) maintenance, and will be removed once the period elapses.